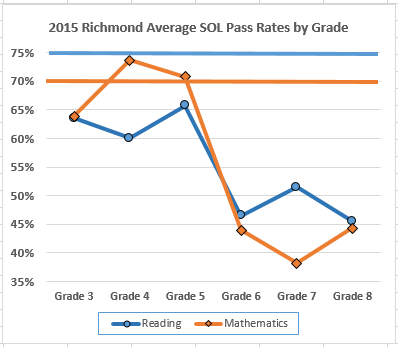 The horizontal lines are the “benchmarks” for accreditation. 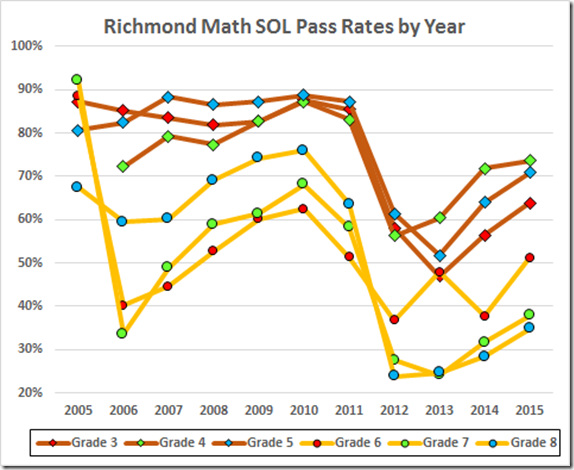 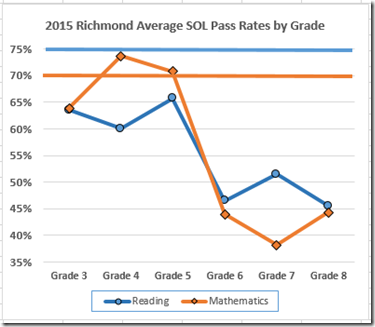 Richmond is the gold bar on each graph. 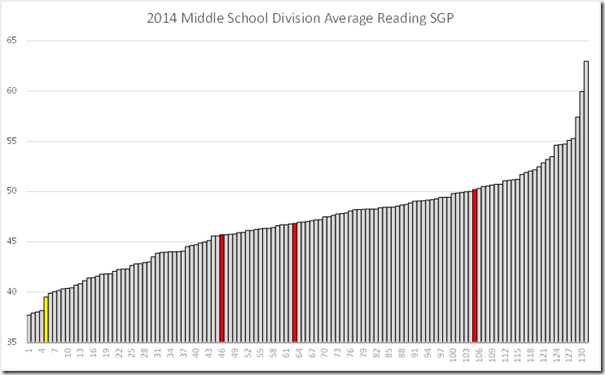 The red bars are the peer divisions: from the left Norfolk, Newport News, and Hampton. 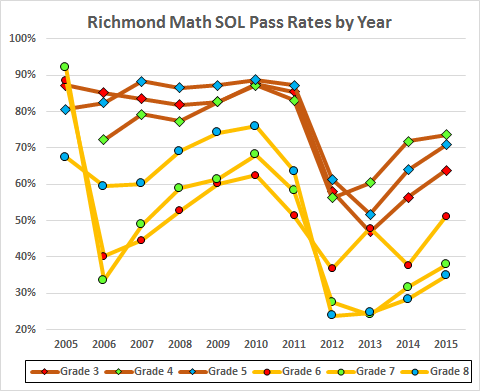 Please recall that the SGP does not correlate with economic disadvantage so Richmond can’t blame the kids for this dismal showing. 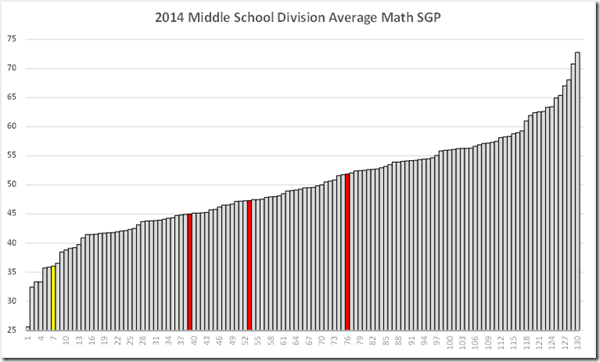 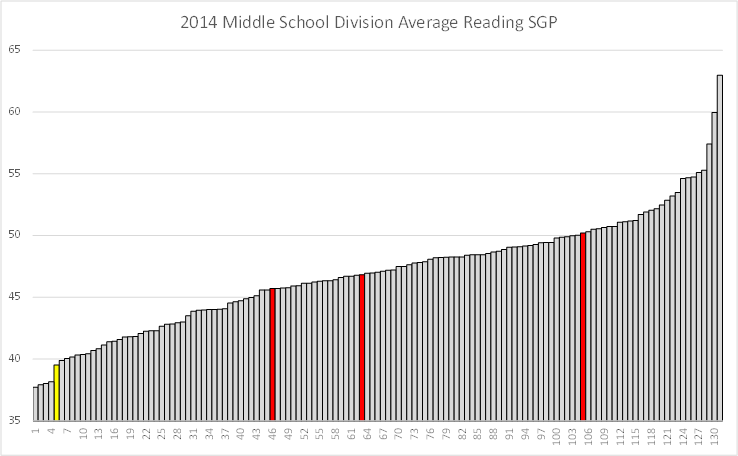 The only pattern that emerges here, beyond the terrible middle school numbers, is the score drops that came with the new math tests in 2012 and the new reading tests in 2013. 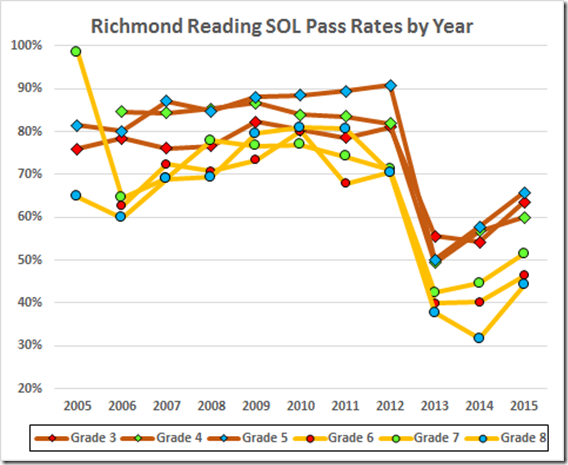 Those, of course, were associated with the former Superintendent’s failure to align the Richmond curricula with the new tests.